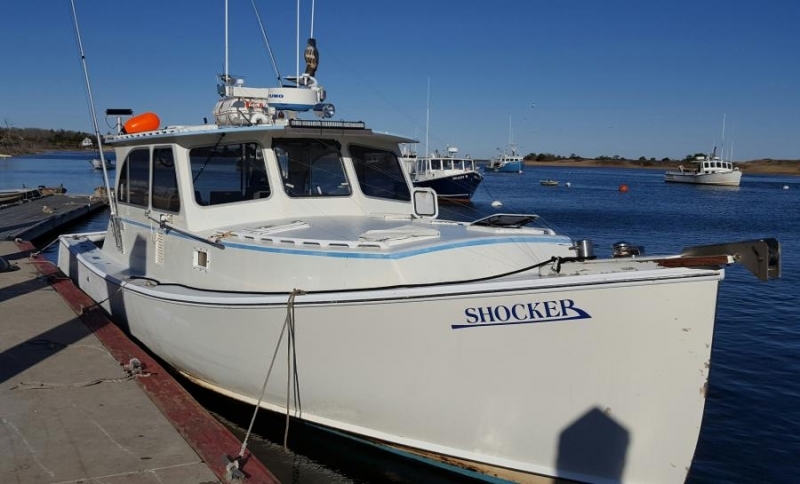 1998 Northern Bay® 36 Sportfish: $109,000 - General Marine, Inc. 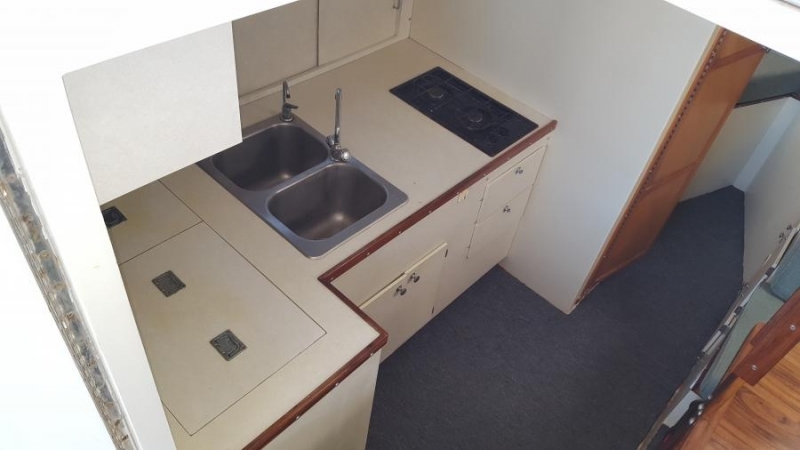 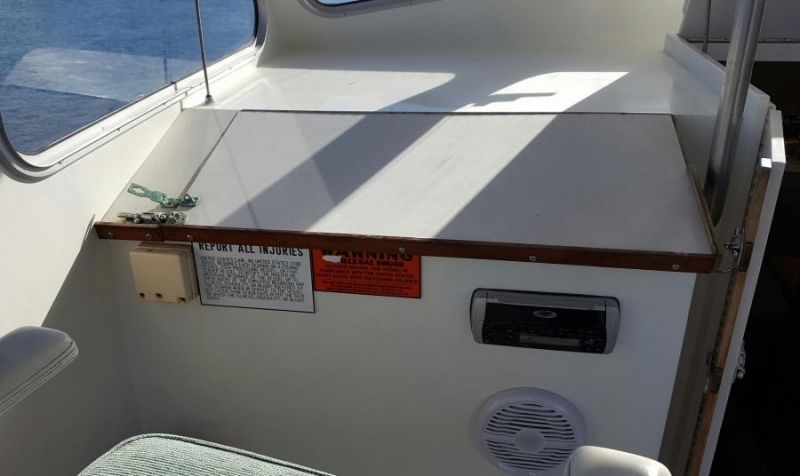 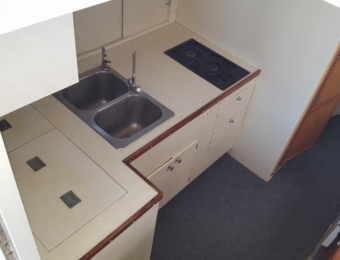 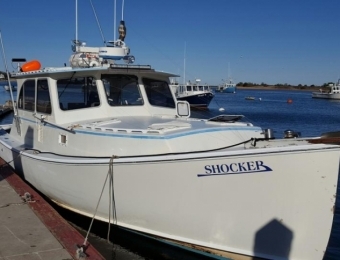 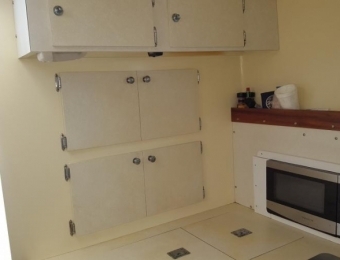 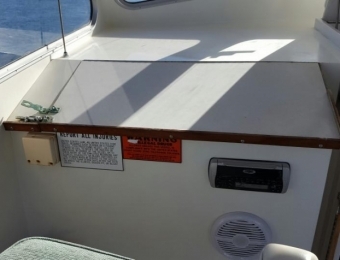 This 36 is well equipped and maintained and is finished with full accommodations below including large V-berths, enclosed head and shower, chart table/dinette with bench seating, full galley, great storage, heat, hot water, etc... 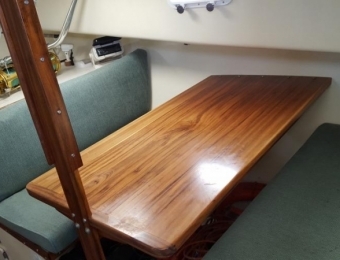 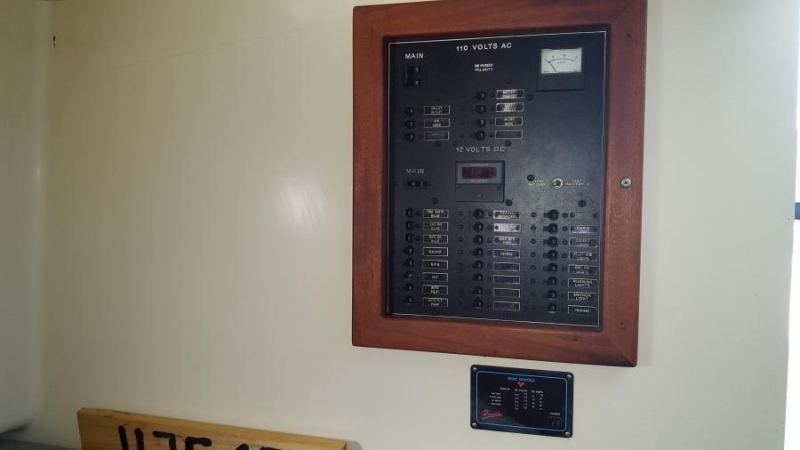 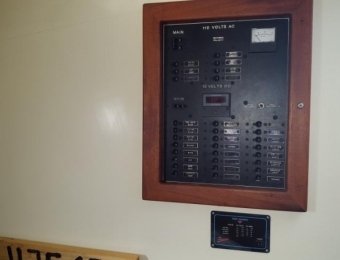 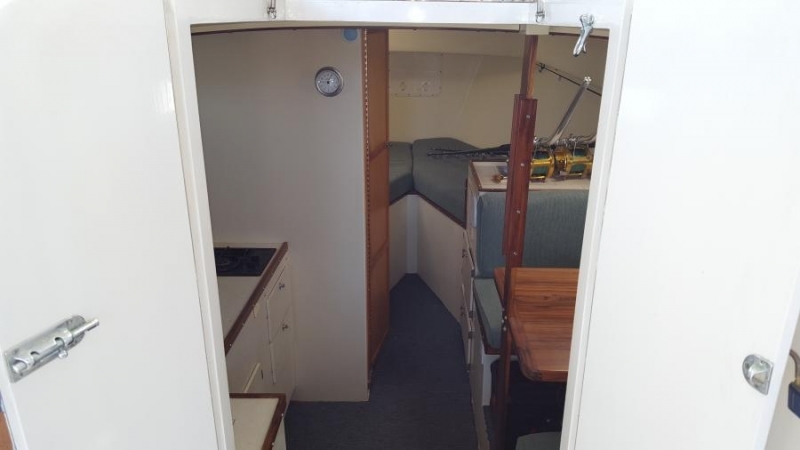 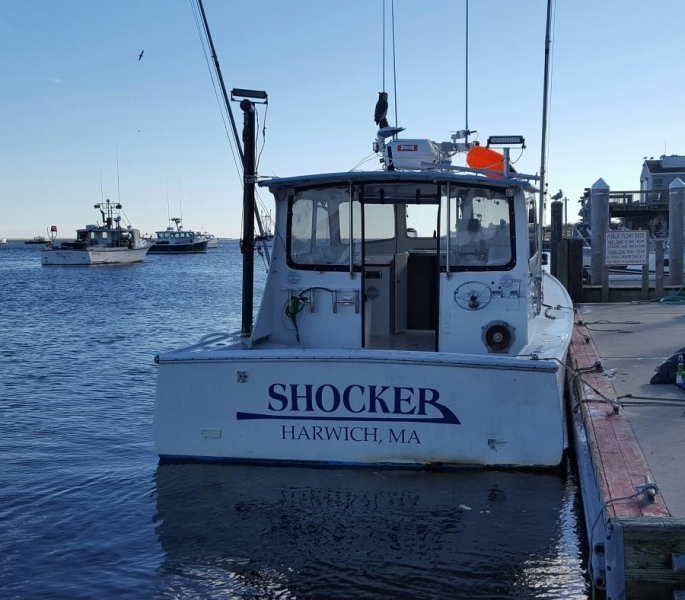 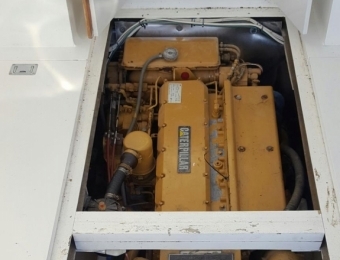 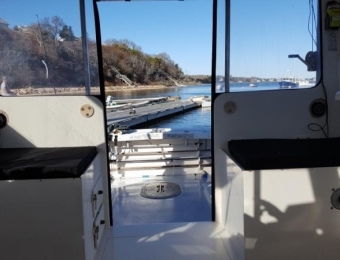 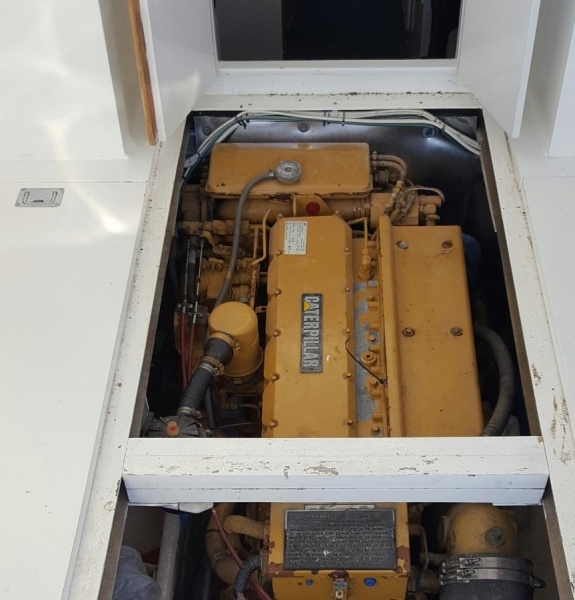 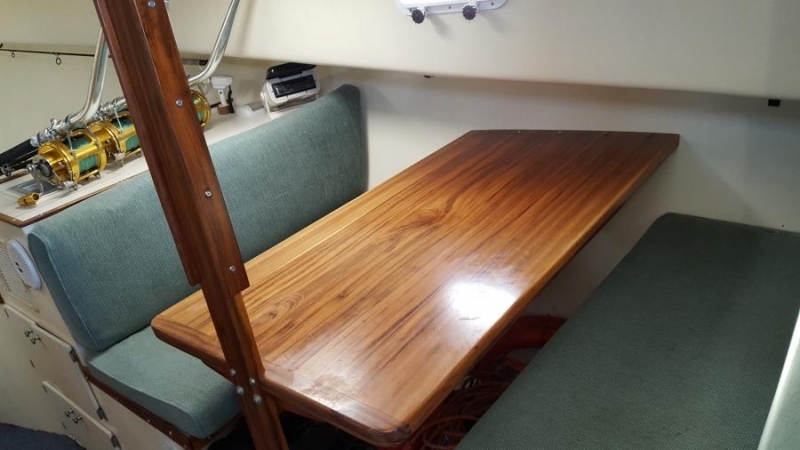 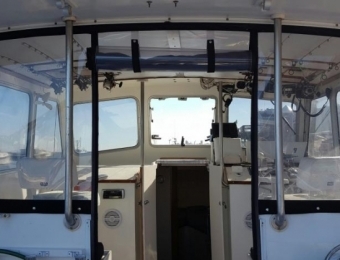 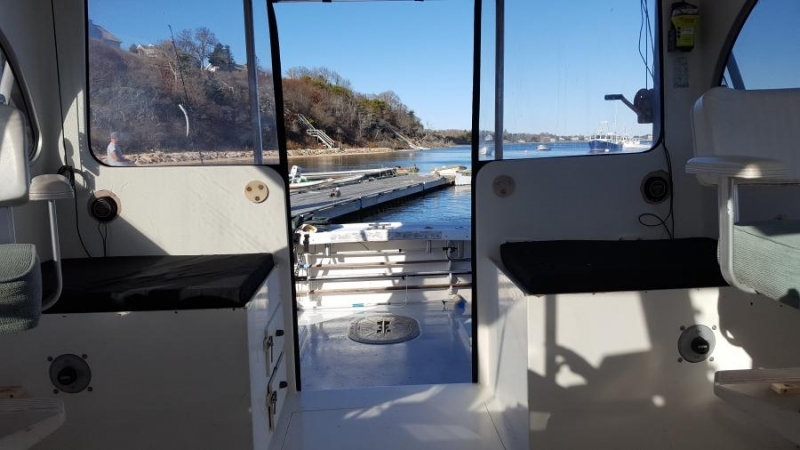 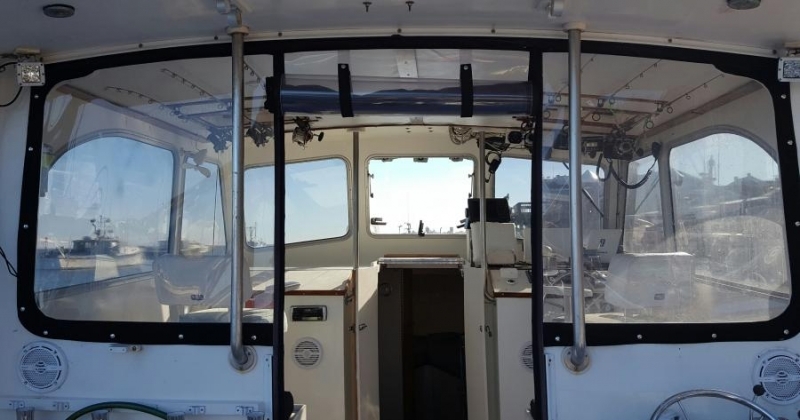 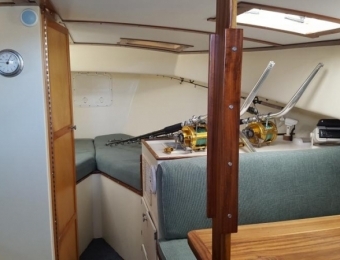 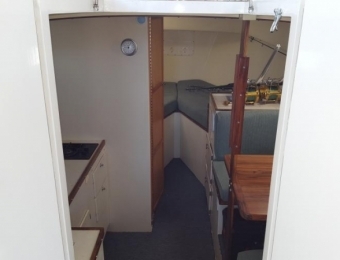 The wheelhouse is equipped with dual pedestal captain’s chairs, full electronics, port and aft storage benches with cushions, and a canvas winter back. 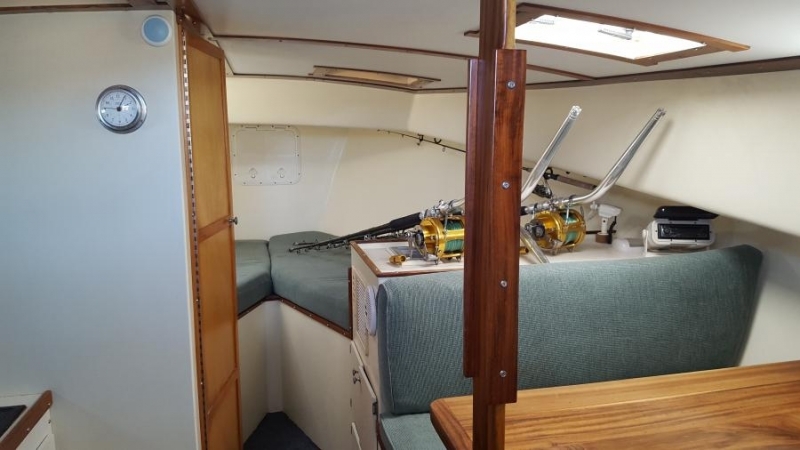 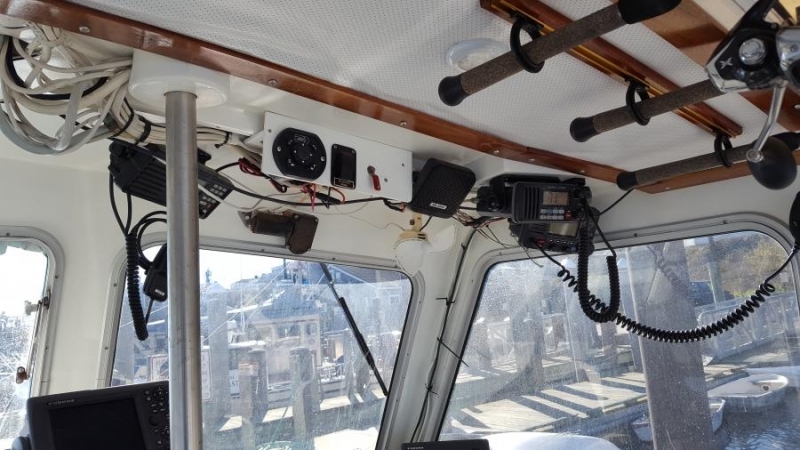 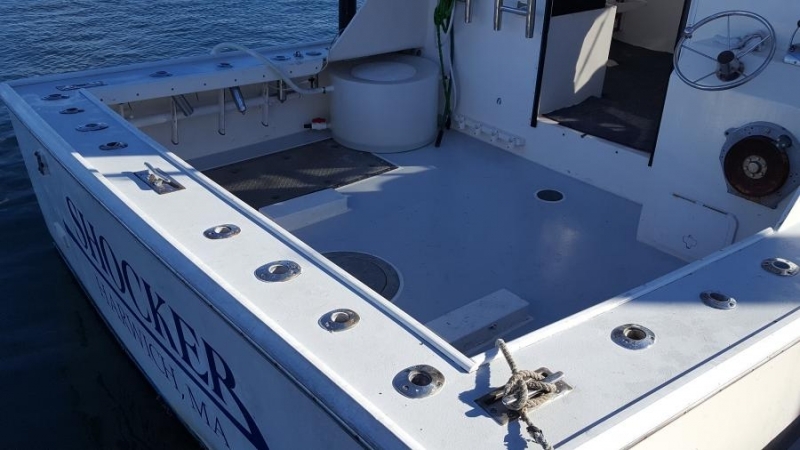 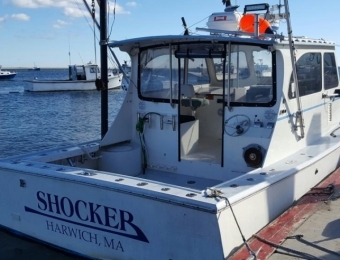 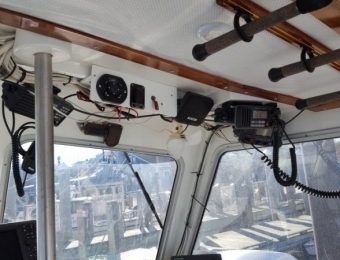 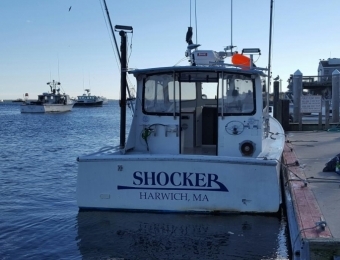 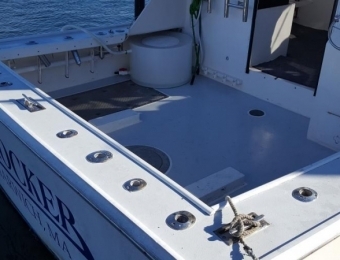 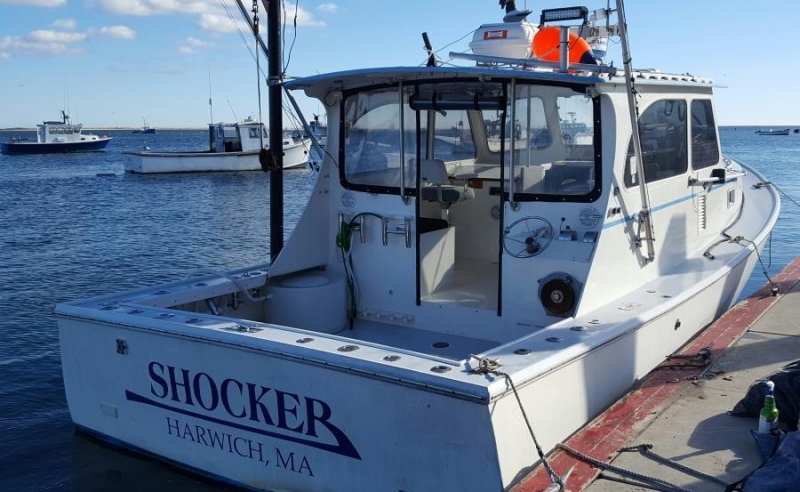 The cockpit has 15+ SS standard and swivel rod holders, 20’ Lee Outriggers, aft helm station, large fish box with macerator pump and tuna gin pole. 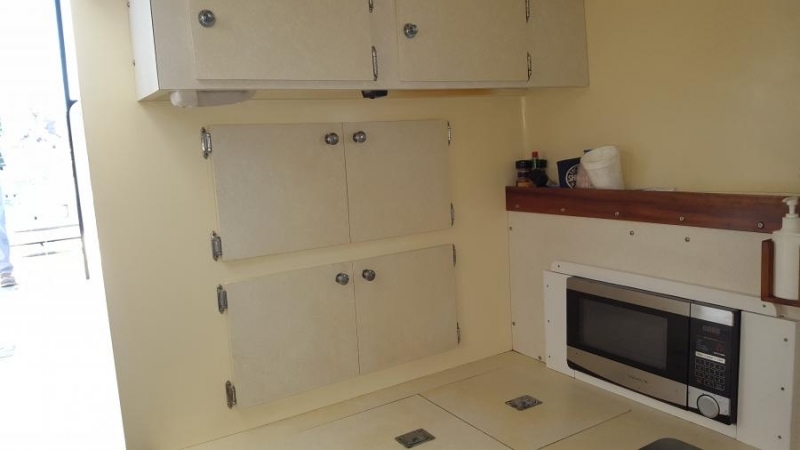 Enclosed head and shower with hot water pressure system.